The Twentieth Century Limited engine at the Harmon yards. Photograph by Robert Yarnall Richie. Here’s a wonderful photograph of the famous Twentieth Century Limited engine at the Harmon yards on May 12, 1938. 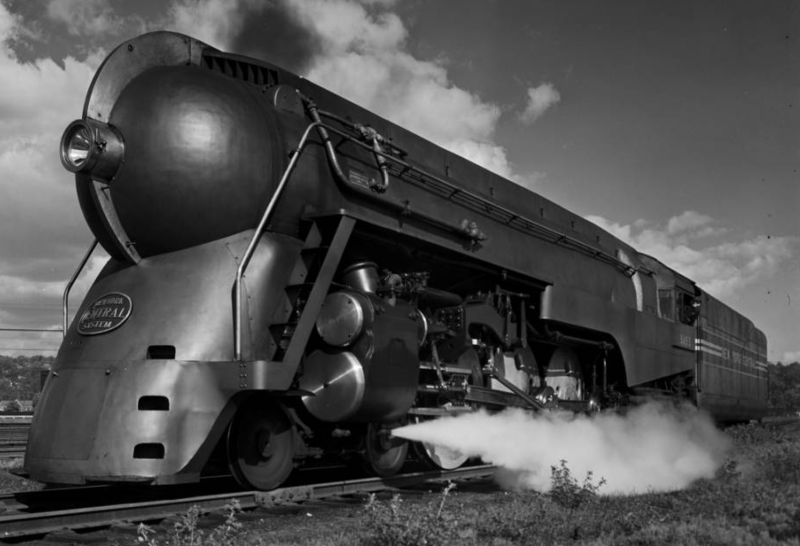 The image is part of a group of photographs of the engine taken by Robert Yarnall Richie, who worked as a free-lance commercial and industrial photographer for many large corporations. Richie’s work is significant for its artistic qualities as well as documentary information. See more of the photos in the Robert Yarnall Richie Photograph Collection, part of the digital archives of Southern Methodist Unversity.